As JaWaVi Films, I think I can be found on just about every platform of social media these days: Instagram, Twitter, Facebook, Pinterest and maybe Google+? (Is it just me or doesn’t everyone kinda sorta think they might have a Google+ account? As the son of an English major, I am also very uncomfortable about how I just placed a question mark directly after the plus sign, but I digress). Oh yeah, here is a direct link to my Instagram page. Or, all you need to do is search JaWaVi Films on Instagram. If you search for just JaWaVi, that is my old personal account that I choose not to update anymore, so make sure you tack on the “films” part. I mentioned in my post yesterday that I would share some of the tactics I use to post photos and videos to my Instagram account. But first, how would I define Instagram? Instagram :: The fastest growing social media platform, known for its ability to showcase photographs and videos that are both pleasing to the eye and informative. All in one fell swoop. To continue, based on statistics mentioned in yesterday’s post, Instagram is even outpacing Twitter in its popularity amongst engaged social media consumers. Instagram dominates because of the quick visual medium. My wife and I have found ourselves using Instagram as a verb around our house. Whenever I see her feverishly tapping on her iPhone, smiling proudly and suddenly announcing to me, “I just Instagrammed the cutest picture of you and Vivian.” I completely understand what action just took place. If your brand is so successful that consumers flip their lexicon to use your name as a verb instead of a proper noun, it’s kind of a big deal. I would now like to provide you two essential tactics that I use to post my photos and videos to Instagram. These brother/sister apps as I refer to them might be familiar to you (or not), but the best news is that they are both free. Squaready :: This is an app that my wife introduced me to about a year ago. I, like many of you would sometimes get frustrated with the Instagram app in how all photos (and videos) were square. The completely square picture looks great at times and provides a nice little cube shaped picture. But what about the photographer’s “Rule of Thirds“? It’s quite difficult to pull off one of the quintessential photography rules with a square picture. In comes the Squaready app to help. The process is easy. Take a landscape or portrait style picture with your iPhone. Open the Squaready app. You will then see a 1, 2 & 3 laid out nicely to make it easy to understand what steps you take. Just focus on the first step and the step 2 and 3 should be a natural progression as you go. Tap on the 1 –> Choose the picture you want to post to Instagram. Your picture will be seen in the square mode on the app. This is the scale it would appear on Instagram…as a square. Go to the bottom of your screen and you will see some cool editing tools. Just tap on the boxes with the arrows facing vertical or horizontal. This will resize your picture to the same dimensions that it was captured in. You are then able to click the color wheel or paint brush to edit the color, take away any blemishes, add text if you want to and more. When you are satisfied with your edits, just tap on the export button. It looks like a square box with an arrow pointed up (located in the top right portion of your screen). This will open up some choices for you. You can then click to go straight to the Instagram app and voila! Your originally sized picture is ready to be rendered into Instagram to give your shots a whole new look versus the traditional square picture. Here is a personal example of a horizontal picture I took that really needed the Squaready app. A square picture just wouldn’t have been able to bring in the depth of field for showcasing what I wanted to convey in this photograph. The GoPro Cameras were positioned a bit low in the frame and I wanted to include the underside of the lampshade because of the light reflection. See what you think. Squaready for Video :: If there is an app to keep the native dimensions of your photographs, there must be one for video too. Instagram video is a fantastic way to highlight your brand or share cool video clips with your followers. Make sure to scroll through my JaWaVi Films Instagram page to see some example of how I utilize video on the app. The original square framing of Instagram video is perfectly fine, especially if you are simply focusing in on one subject. But today, we are so accustomed to watching everything in wide screen format, why limit our videos to a square box? Here is a simple way that this app helps with your videos. Open the app and tap Albums. Once there, find the video clip you want to render. Here is the cool part. You will see a red vertical line near the bottom of your app. This allows you to set the starting point of your video. Remember, Instagram only allows for 15 seconds of video. This app is smart. You will see a bold horizontal line that appears as you drag to your the beginning of your clip. That is your 15 seconds worth of video right there. Squaready for Video also allows you to zoom or flip the clip at this point. Drag the red line to where you want your video to begin (or just leave it at the beginning if you want it to start where you initially began your clip). Hit OK and after a few moments it will say completed. 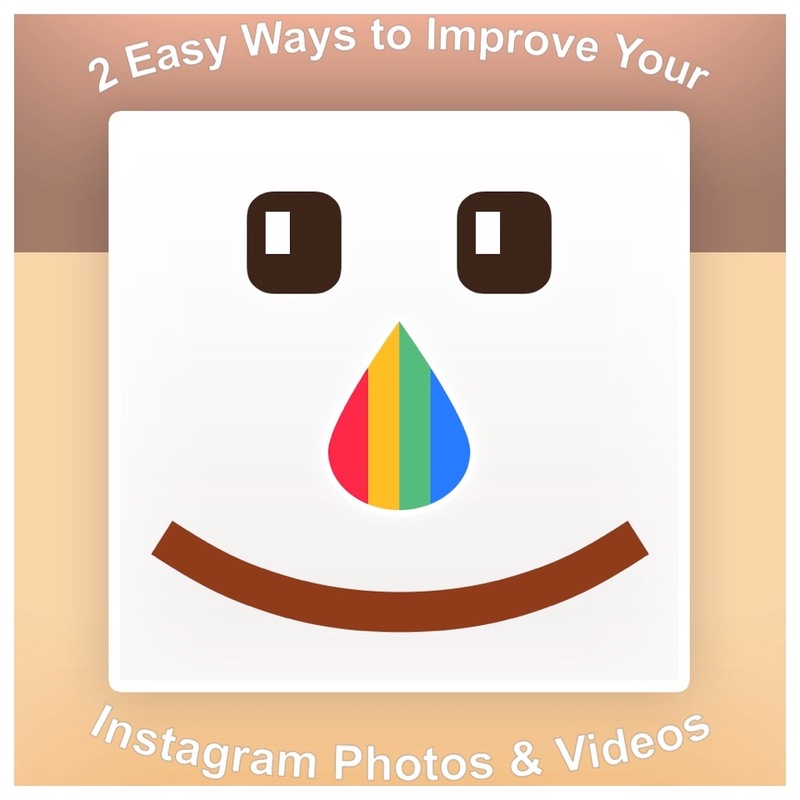 You may either exit the app and your video will be saved to your camera roll or click the brown Instagram app within Squaready and you will be ready to use your newly re-sized video. Then just do what you normally do for a post with a description and hashtags and publish! Here is a recent video that I posted to Instagram by using the Squaready for Video app.